This soul ballad was originally a #3 UK hit for Harold Melvin & The Blue Notes in 1972, although the song was originally written for Labelle (ft. Patti La belle) although they never recorded it. 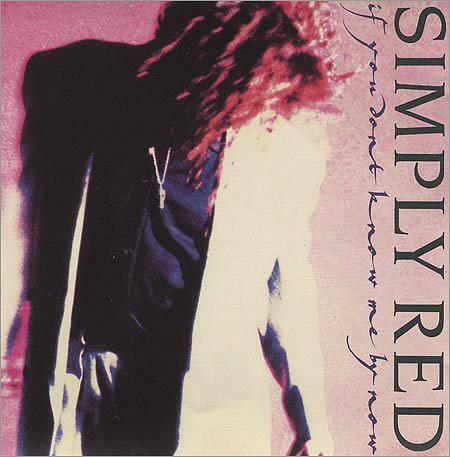 Simply Red's version was sung with soulful passion by their lead singer Mick Hucknall, and was a huge hit in 1989, reaching #2 in the UK and topping the charts in the U.S., Canada, Australia and New Zealand. It was the second single release from the band's thrid studio album A New Flame, and the follow-up to the song It's Only Love which had reached #13 in the UK and #57 in the U.S. There was to be one more hit single from the album, the title track reached #17 in the UK. The album achieved 7 x Platinum in Britain, and the previous two 80s albums Picture Book and Men And Women also achieved multi-platinum sales. 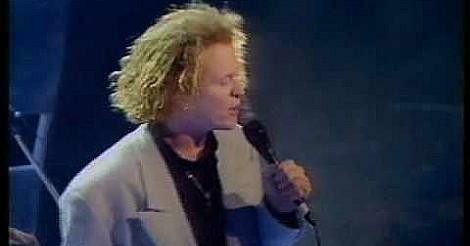 The video is shot entirely in black and white and opens with Hucknall sat amongst dozens of untidy stacks of chairs. Moving imagery is being projected onto the side of the armchair he is sitting in by an old camera. The rest of the band are also amongst the chairs. It's a very arty video, but it's not particularly exciting and looks as though it was shot on a tight budget. All versions of the single included the track "Move on Out" (recorded Live Manchester on February 22, 1989). The 12" vinyl single and 3" CD single also included "Shine" (recorded live Manchester on February 22, 1989). An fourth track entitled "Sugar Daddy" was also included on the 3" CD single.